Lisa Young Milliken, MA, CCC, FNAP, CDP received her master’s degree from The University of Memphis in Audiology and Speech Language Pathology in 1987. She has since served adults and geriatrics as a clinician, manager, vice president, consultant, compliance manager and education director, and is most passionate about mentoring healthcare professionals in the post-acute facilities across the country. 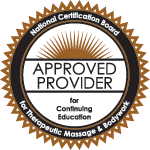 She currently provides continuing education support to therapists in over 950 sites nationwide as Education Specialist for Select Rehabilitation. She has authored and lectured at the state and national level with over 150 professional continuing education courses on a wide range of topics of importance to the healthcare professional who works with the older population. Q: Can we lose our license for changing the date of a treatment within the cert period in the case that an eval was done that day? Patient was re-evaluated but you arrive for the visit as a PTA. You change the date for the next day. Is it unethical/can you even face action? Seems to be common practice. Q: Can you please give some examples of documentation that shows the unique skill of a therapist in a maintenance scenario?